The Long Gallery: Book Reviews on Old Architecture Books? Yes, of Course. Book Reviews on Old Architecture Books? Yes, of Course. Why would you want to review a book that’s been out of print for thirty years? Or fifty? Or eighty, for that matter? Well, if I was reviewing fiction or computer programming, I agree, it would make no sense at all. The former is a slave to contemporary taste and fashion, which changes almost daily; the latter is subject to the inevitable march of technology—making today’s technical information soon obsolete. First, old houses are still old. Where they exist, they generally do so undisturbed over the course of many years, and that is the way people like it. For example, observations made about an old house like Little Moreton Hall in Cheshire in 1920 are generally valid unto this day. While new analyses continue to be made and today’s technology may reveal some new understanding, the scholars of the past continue to provide keen insights on the character, history and appreciation of old houses. Likewise, many of the photographic and illustrative examples provided in old books offer an unsurpassed visual record of many old houses, some of which no longer exist. 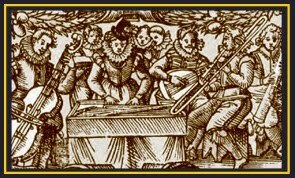 Whether it is the beautiful black & white photographs we see in old Country Life books, or the seductive drawings of Sidney R. Jones, there is a unique character and perspective in these old illustrations that even the sharpest digital image cannot provide. In the very oldest examples, they may offer details that cannot even be seen today. Other old books on architecture, through their sheer depth of observation, provide an in-depth illustrative record of measured construction details like doors, chimneys, windows, mouldings and their profiles, stonework, ironwork and more. Few modern books provide these richly detailed and carefully recorded illustrations—which can be so helpful to both the student and the practicing residential architect who may turn to them for inspiration. Another consideration on the value of old architecture books for the modern user is their essential value as books, and in many cases, great examples of what I refer to as The Book Arts. 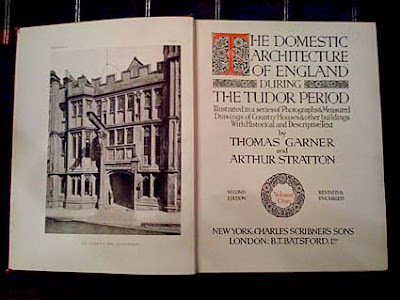 As an example, I often point to is the two-volume study from Thomas Garner and Arthur Stratton, entitled The Domestic Architecture of England During the Tudor Period. I own a second edition set from 1929; they are huge books—measuring 12” x 16”—wonderful to hold in one’s lap and beautifully illustrated with both photographs and exquisite drawings. A much more recent example of this type might be Mark Girouard’s beautiful Elizabethan Architecture, published by Yale in 2009. It is another substantial, finely illustrated book which does great justice to its subject. a) Many books, being highlighted as “essentials” on the subject of our chosen historical period of architecture, are well-recommended for their enduring high value, technical competence and even inspirational content. b) While no longer in print, most of these books may still be obtained without undue effort from used bookstores, online sources such as abebooks.com, or even Ebay—often at a reasonable price. 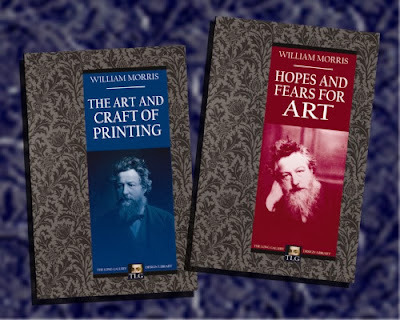 c) Some books that have been recently scanned and made available through Print-on-Demand, while helpful and more easily purchased, are actually poor facsimiles of the original version. In some cases, the scanned illustrations are of extremely bad quality, in the worst cases, almost useless as a reference. While the text has value, to be sure, the student would be better satisfied in finding an original edition, which may often be found at a price that is little more than the reprint. So, seeing some value in offering these types of reviews, we will begin to provide them, since we have no shortage of books on our chosen subject that we would like to share. Seeing the newer phenomenon of video book reviews making an impact, and noting the advantages of physically describing and talking about a book that I am holding in my hand, this may be the method employed as we move forward. 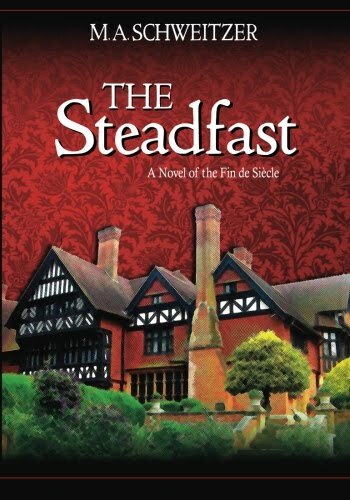 Our dedication to old books being noted, we would nevertheless invite publishers of new books on period architecture to make review copies available, should they so desire. This would include - Architecture (particularly residential) from Medieval through the Early Renaissance (Jacobean) – and Revival Styles (Gothic, Medieval, Tudor, Elizabethan, Jacobean) from the early 18th Century through the Victorian and Edwardian eras, and up to 1930.